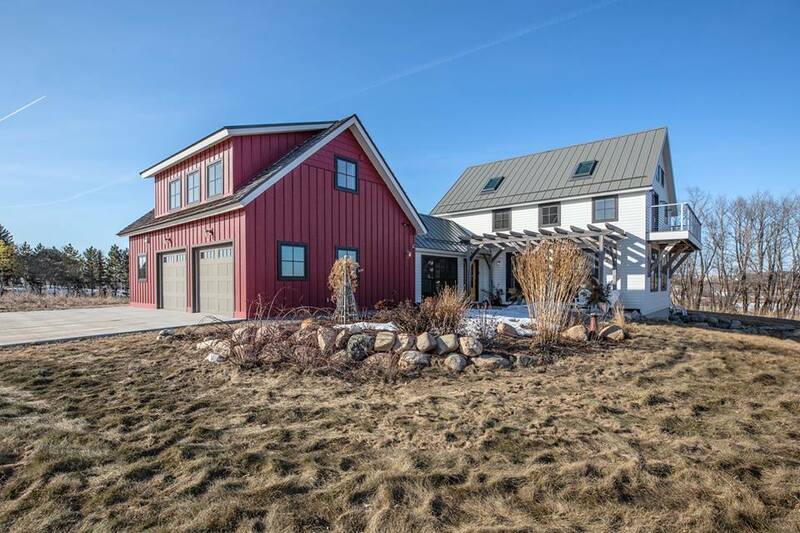 Make your dream of living in a magazine-worthy home a reality with this 4 bedroom, 5 bath custom-built contemporary farmhouse on over 8 acres just a mile from Fergus Falls! This spectacular home features a beautiful kitchen with custom cherry cabinets and high-end stainless steel appliances, southern yellow pine floors, cozy living room with wood stove, master suite with private balcony, in-floor heat, great spaces full of natural light to work, read or relax in, a 2-stall attached heated garage with studio above, peaceful views of water and the surrounding prairie and much more! Asking only $549,900! Message us at ryanhansonhomes@gmail.com or call/text Ryan Hanson at (218) 205-7351 with questions or to schedule a showing!